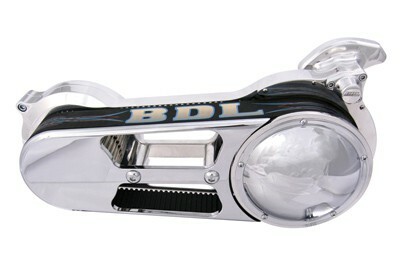 Belt drives are called flexible machine elements. Flexible machine elements are used for a large number of industrial applications, some of them are as follows. Transportation of coal, mineral ores etc. over a long distance. 2. Used for transmission of power. Mainly used for running of various industrial appliances using prime movers like electric motors, I.C. Engine etc. 3. 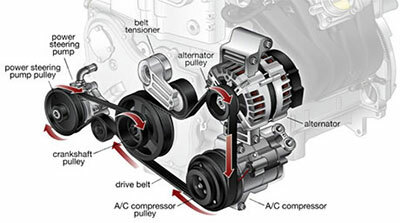 Replacement of rigid type power transmission system. Flexible machine elements has got an inherent advantage that, it can absorb a good amount of shock and vibration. It can take care of some degree of misalignment between the driven and the driver machines and long distance power transmission, in comparison to other transmission systems, is possible. For all the above reasons flexible machine elements are widely used in industrial application. Although we have some other flexible drives like rope drive, roller chain drives etc. These are used to transmit small power at belt speed up to about 10 m/s. It is usually used in agricultural machines and small machine tools. These are used to transmit medium power at belt speeds from 10 m/s to 22 m/s. It is used in machine tools. These are used to transmit large power at belt speeds above 22 m/s. These are used in compressor, generator and heavy machinery. These belt drive used with shaft s arranged parallel and rotating in same direction. In this drive the driver pulley pulls the belt from one side and delivery it to the other side. Thus the power is transmitted form driver pulley to driven pulley. The tension in the lower side of the belt is more than the upper side. So the lower side is known as tight side and upper side is known as slack side. This belt drive is used when shafts are parallel to each other but rotating in opposite direction. In this case the driver pulls the belt form one side and delivers it the other side. In this drive tension is more on that side where driver pulls the belt, so this side is known as tight side and other is known as slack side. This belt drive is also known as right angle belt drive. This drive is used when shafts arranged at right angles and rotating in one definite direction. To prevent the leaving the belt in this drive the width of face of pulley is 1.4 times greater that the width of belt. 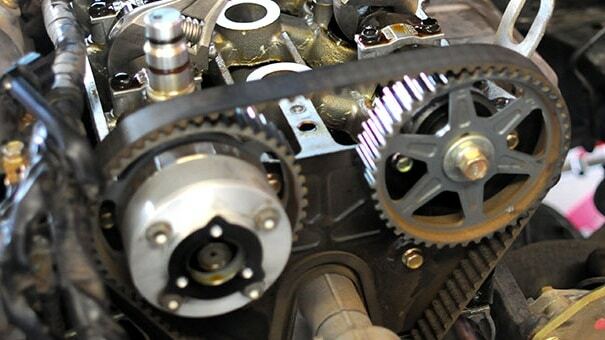 A compound belt drive is used when power is transmitted on more than one shaft. In this arrangement power is transmitted form one shaft to another through a number of pulleys.